in a fun online geography learning game. 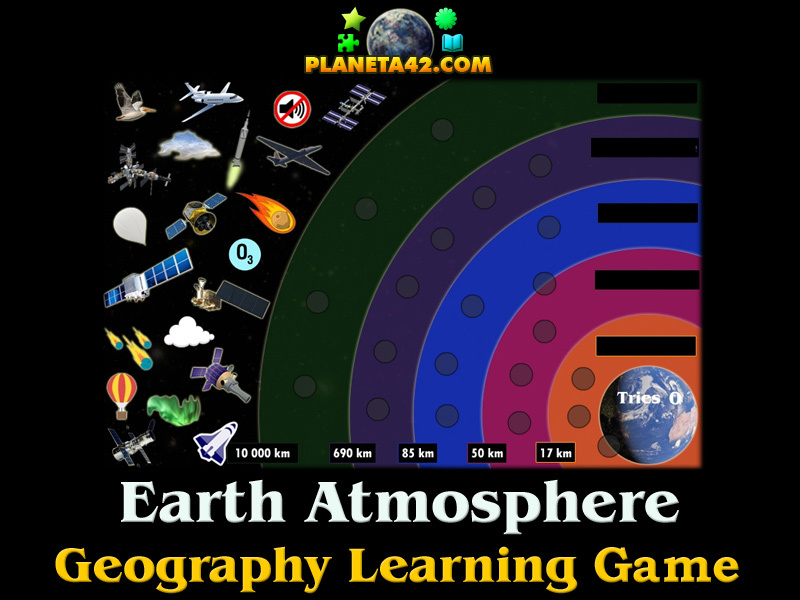 "Earth Atmosphere Puzzle" is a free online knowledge level game to sort the objects in the correct atmospheric layer of the Earth. It include 21 objects, which may be observed in the atmosphere. 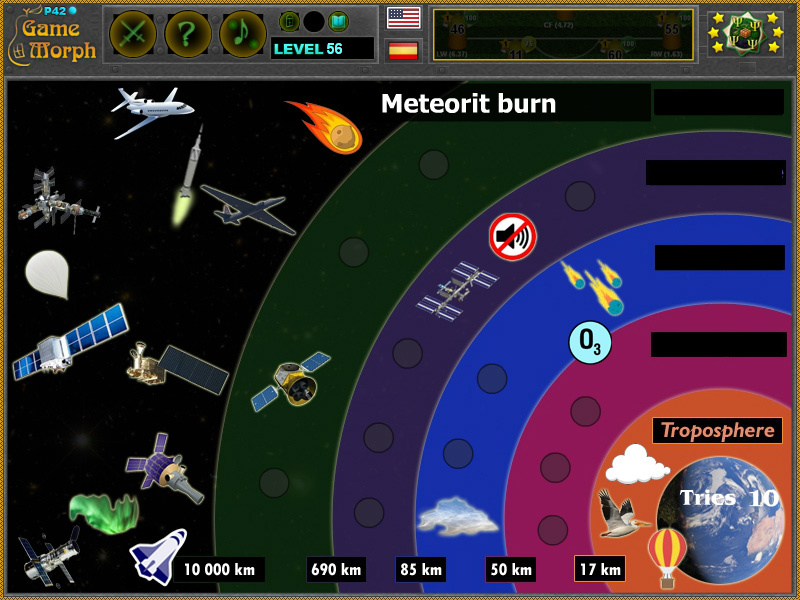 Free online game to explore, learn or test the knowledge of Earth's atmospherer. Geography puzzle game, suitable for online lessons and interactive classes. Minute to win it game. Exosphere - 10 000 km. Game code by Ogo Bob. How to play Earth Atmosphere Puzzle. There are 21 movable pieces with different objects, which may be observed in different atmospheric layers. Drag and drop them at the approximate location of the correxponding layer. If all object of a layer are placed correctly, the name of the layer will be revealed. Sort all 21 objects to win the game. Know 5 layers of Earth atmosphere and get +1 Knowledge Level. Class subject: Atmosphere of Earth. Which are the 5 layers of the atmosphere? Where do space stations orbit? Which is the first atmospheric layer?